Finally, my very first bazaar since I came to Singapore in 2006. It happened last 6th December 2018, Thursday at Ascent, theBridge, Science Park Drive. Throughout the year, I disciplined myself to draw for #the100dayproject. Every entry was to make time at night for drawing. Fast forward to end of October, I saw a bazaar ad on Instagram from Flair (Singapore’s First Skilled Services Marketplace), I expressed interest and after two weeks, I was invited to join. My husband and I decided to make a step of faith to participate. We made the decision not to blow our budget and to be wise not to use credit card for the production expenses. We saw first hand how God moved on our behalf - from creating the pieces to producing, assembling and selling. The bazaar was truly a memorable time for us. Our friends showed their love and support by visiting and cheering us on. 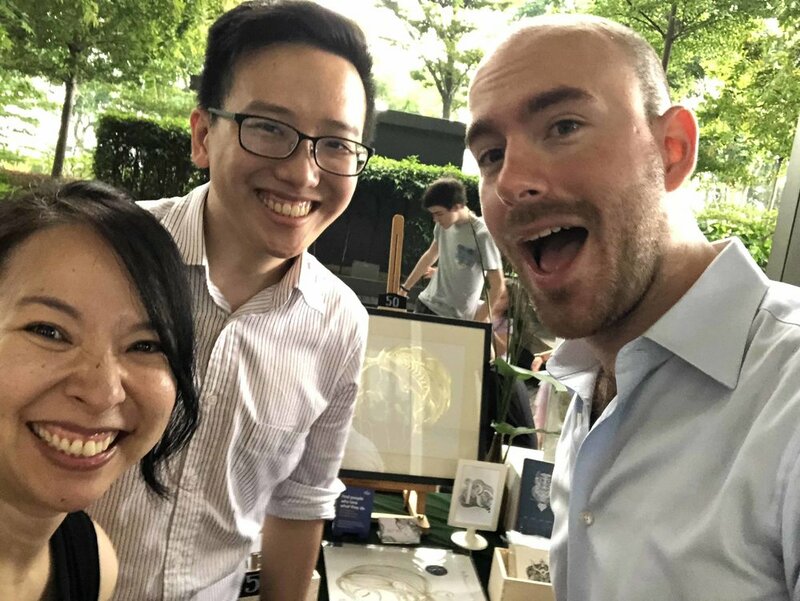 We were also able to earn enough to cover our production cost, meet new people, and I was encouraged to see and hear how well received the pieces were from others.